16 oz. 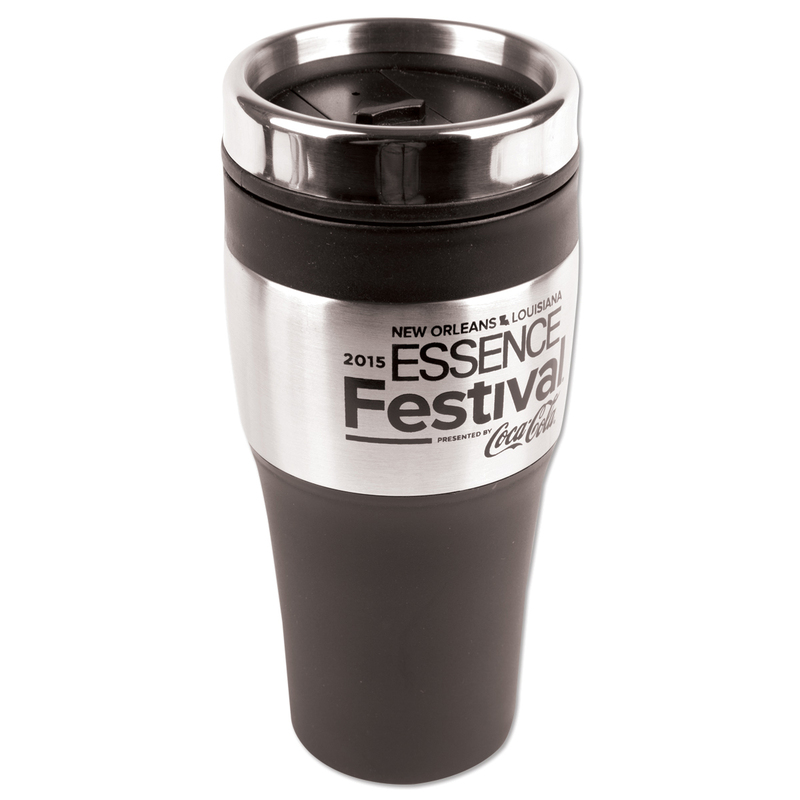 black acrylic exterior double wall stainless steel travel mug featuring the 2015 Essence Festival logo. This travel mug is BPA free and is insulated to keep your drinks hot or cold for an extended period of time.